Tween Tuesday is a weekly meme to highlight great reads for tweens! 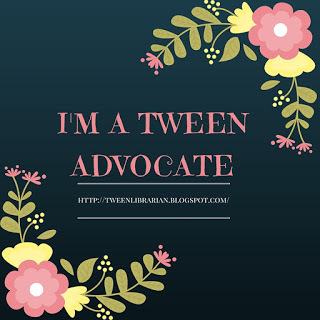 Include your Tween Tuesday post in the comments below and join in the tween fun! About the Book: It all starts with a simple question-what flavor of ice cream, chocolate or vanilla? From there Jimmy is sent on the adventure of the reader's choice. Follow the paths and see where they lead. GreenBeanTeenQueen Says: I have been excited to read this one since I saw a starred review in Booklist. The premise intrigued me-a choose your own adventure comic? I had to check it out. Meanwhile is the most inventive and creative book I have come across in a long time. I don't know how Jason Shiga put this book together-I'm amazed at his talent and creativity. The book doesn't read like your typical book. There are paths to follow and tabs to turn, so the reader is always moving around flipping pages and choosing new paths. Even though it's marketed as a children's book, this book is for all ages. This is one parents and children will have a blast reading together and letting each other choose which way to go. 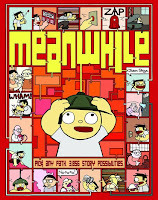 Meanwhile is a twisty choose your own adventure comic fun. Even if you've never picked up comics before, give this book a try. It's too much fun and once you get the hang of how the book works, you won't want to stop reading. The cover says there are 3,856 story possibilities, so I'm sure Meanwhile will be keeping readers busy for a long time! This is such a creative concept. I guess it will keep kids engaged and interested. 3856 possibilities. Wow! Very cute, I just saw this one came in at my library. Will need to keep my eye out for it. Here is my Tween Tuesday post. Yes! I am so excited about this one and I'm glad it lived up your hopes for it! This one looks great, I will have to put it on my order for the fall. Here's my Tween Tuesday: Fablehaven. I wish I could get out of the classroom and down to the library so I can see what new books are coming out. This one looks great! I think my kids are going to love this, but I've got to admit that it drove me a little bit crazy. I'm a completist when I'm reading - I always used to follow every single thread in the old Choose-Your-Own-Adventures books - and there were just too many choices!